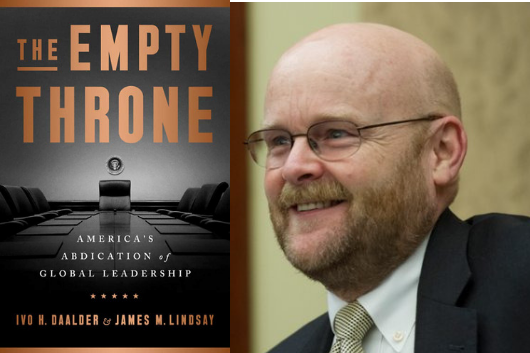 Professor Tana Johnson will welcome co-author Jim Lindsay for a discussion on his newest book - The Empty Throne is an inside portrait of the greatest lurch in US foreign policy since the decision to retreat back into Fortress America after World War I. The whipsawing of US policy has upended all that America's postwar leadership created-strong security alliances, free and open markets, an unquestioned commitment to democracy and human rights. Impulsive, theatrical, ill-informed, backward-looking, bullying, and reckless are the qualities that the American president brings to the table, when he shows up at all. The world has had to absorb the spectacle of an America unmaking the world it made, and the consequences will be with us for years to come. Copies of the book will be available for purchase before and after the lecture.